ExamForce, an industry leading test preparation software provider and Lambers, a premier global provider of financial classroom and self-paced training solutions today announced their merger. Together these two companies represent over 30 years of learning technology, business solutions and a high-level learning experience. The two companies have enjoyed a productive partner relationship since 2005 and share many similar business philosophies. The merger brings together two industry leaders in the technology based education vertical and allows each company to leverage their strong core capabilities for future growth. “We are excited about the merger and about making a greater impact in the certification and education marketplace. With this new entity, we’ll provide more products, more services and have greater reach into the industry,” said Kevin Forcier, President of ExamForce. 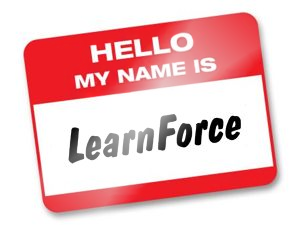 The new entity, LearnForce Partners LLC, is well positioned for continuous growth. Prior to the merger, the companies were working with many of the same clients and the unified entity enables the company to consolidate business units while working towards increased customer satisfaction and stronger revenues.